DOVER - Dover Police are asking for the public's help in finding a Dover man who went missing. Samuel Gray, 62, was last seen riding his large 3-wheeled bicycle on Washington Street near Green Street in Dover on April 2. Concerned friends and neighbors contacted the Dover Police on Sunday to let them about the his disappearance. Gray has multiple medical issues and an intellectual disability. 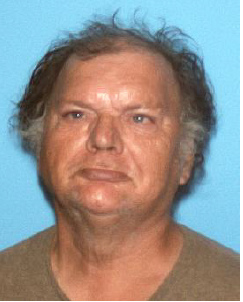 He is described as about 5'08" and 225 pounds with black hair and blue eyes. He is often seen riding his 3-wheeled bicycle in the downtown area of Dover. The department is seeking assistance from the public with locating Gray or identifying any potential leads. Anyone with information about this situation is asked to call the Dover Police Department at 603-742-4646. Anonymous tips may be called into the Dover Crimeline at 603-749-6000 or via www.dovernhcrimeline.org.